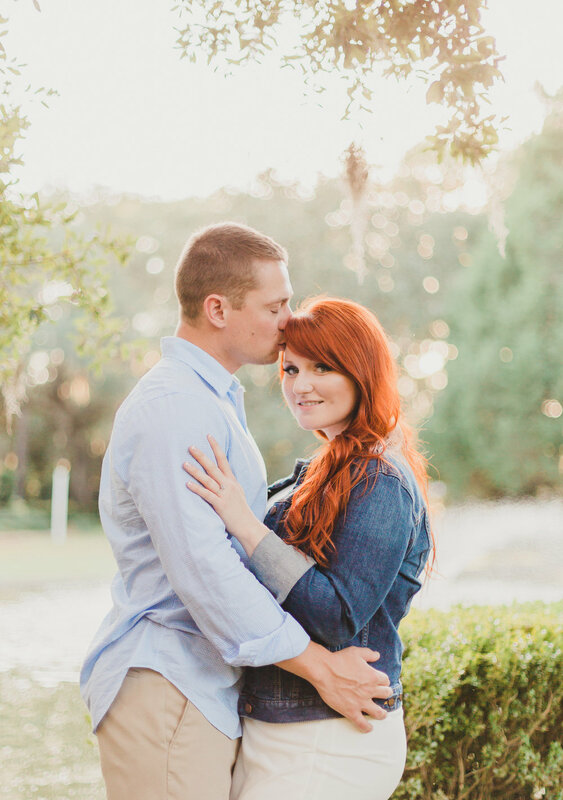 When this stunning, redheaded mermaid met her prince charming, she just knew - something was different about this one. Their first date lasted over 7 hours! Seven. hours. They just couldn't get enough of each other and didn't want their date to end, so they bounced from location to location, chatting into the late hours of the night. Soon after, Ashley and Erick decided to tie the knot and I could not agree more that they are just meant to be. When you know, you know and that was so apparent to me. 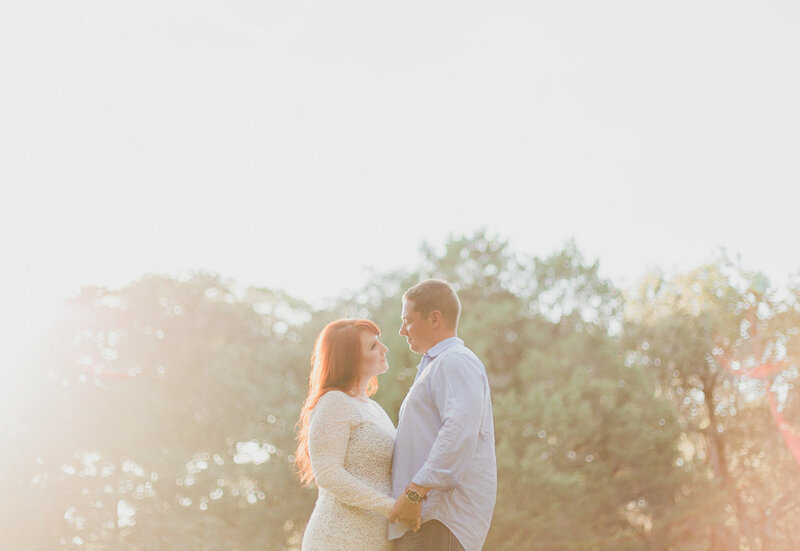 Our session at Eden Gardens was nothing short of magical and oh so fun. Majestic trees loomed overhead, filtering the most amazing light that brought out the fire in Ashley's glorioussss locks. A just cool enough breeze blew through the leaves and the fountain splashed in the background. 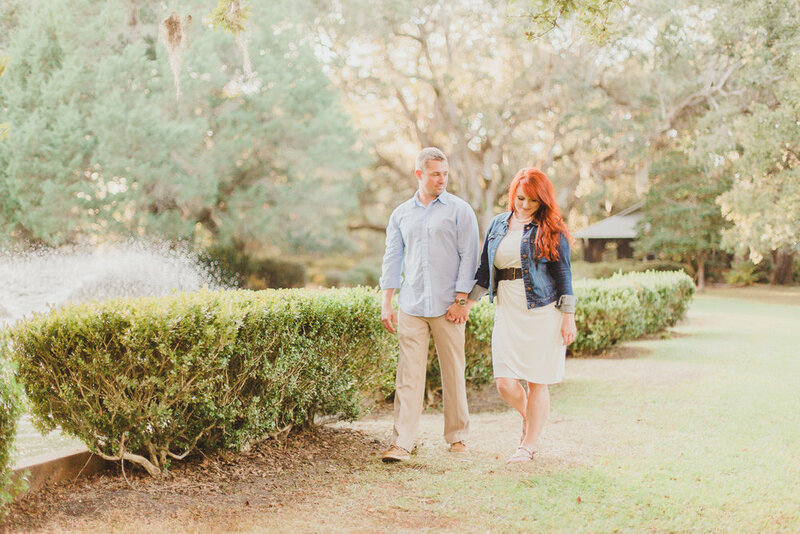 As we strolled from gorgeous spot to gorgeous spot, every time I looked back, there were my lovebirds, hand in hand, never too far away from one another. I'm so excited for your wedding next April!